DETROIT, Michigan 3/3/16 – The Republican presidential debate, the ultimate reality show that was aired over Fox tonight, was crashed earlier today by someone not even in the race, but determined to get his toes in the muddy waters and drown Donald Trump. 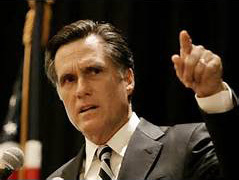 Mitt Romney, who lost the election to Obama in 2012, not from lack of votes, but by rigged voting machines, appeared out of no-where today to appear on media to trash Donald Trump by discrediting him in every aspect of his life. His effort was clearly to knock Trump out of the race. Why? Was it because of Trump's solid public support? Could it be that he never got over his own election loss and is desperately attempting to get back in the spotlight and appear significant? This writer voted for Romney in that race. However, after this surprise ambush today and the way it was done, he will never receive my vote for anything he might run for in the future. This entire attack was without class or reason. It was pure ego. The debate from Detroit earlier tonight was the most volatile yet, displaying two out-of-control candidates, Mark Rubio and Ted Cruz, who were desperate, extremely rude, and disrespectful with temper tantrums that would typically be seen in the sandbox. By this time it was anticipated that Rubio might stomp his feet and pout. He acted like a spoiled brat. When Trump tried to answer a question, Rubio cut in trying to yell over Trump's voice and interrupting every answer Trump tried to give. Frankly it is disturbing to see a kid being so rude to an adult. He exhibited no manners or decorum whatsoever. I liked Mark Rubio. He appeared to be intelligent, had studied his subject well, and possessed a commanding voice which gave the illusion that he would be a very good young presidential candidate. However, after seeing the fits he threw tonight, that is now out of the question. While Ted Cruz was not as bad as Rubio, he still showed disrespect for Trump and at times was nasty in the unfounded accusations he hurled at the front-runner. Here is something that has not been thoroughly examined: Is Cruz or Rubio even eligible for the Office of The President? Are they natural citizens, or even naturalized citizens which is required for that office if one is not born in the U.S.? Cruz was born in Canada. To make him naturalized, his father had to be born here, which he wasn't. His mother was born here much earlier, but not his father, which disqualifies him. Rubio has similar citizenship problems filling reams of paper with opinions. However their outbursts in tonight's debate may settle the dispute .Nobody would want to see them in the highest office in the land with what they displayed tonight. That leaves only two in the contest. Donald Trump and John Kasich, who himself has the qualifications to hold that office since he has been an official in D.C., knows how that town works and successfully served as Governor of The State of Ohio. Plus he handles himself with dignity, is firm but respectful, has decorum and has done his homework. He was well prepared to answer the questions posed.He has a proven record. Donald Trump has a huge following of citizens who are fed up with politicians, the government in general, and he is mad at what our country has become. He cannot be intimidated or bought by anyone. Plus he can get things done. Perhaps it is not a bad idea to have an angry person in the top D.C. office. Any one of the two candidates would be excellent for the Oval Office.